In today’s quick developing mediascape, multi-practical, sight and multimedia Indoor LED Video screen has rapidly turned into the standard display technology for the majority of indoor video screen applications to engage, educate and publicize. Techon indoor LED presentations are comprised of SMD (Surface-mount-gadget light-radiating code). The space among two LED’s (pixel pitch) is less in this innovation; therefore indoor LED display are apparent even from the most limited separation. This innovation is progressive as far as rich feel as well as far as conveying powerful substance. It conveys perfectly clear resolutions, pictures, content in movement, content arrangement and so forth.Techon Indoor LED Video screen is intended for indoor applications. The significant spots where indoor LED shows utilized are retail spaces particularly shopping centers, stock trade premises, bank, air terminals, assembly halls, motion picture theaters, corporate anterooms, eateries, retail locations, religious spots, clinic entryways and grounds, occasion scenes, public expos or expos, and so on. Pixel pitches a typical term utilized for LED displays characterizes by the perfect separation amongst watcher and video screen. The motivation behind why pixel pitch is such a main component is according to reasonable review remove pixel is put and LED wall are designed. For e.g. on the off chance that the assessed seeing separation is 5 mm between the video wall and watcher then 5mm will be the pixel pitch for the same. 3 mm true colour indoor RGB LED show screen is comprised of 3 in 1 SMDs. 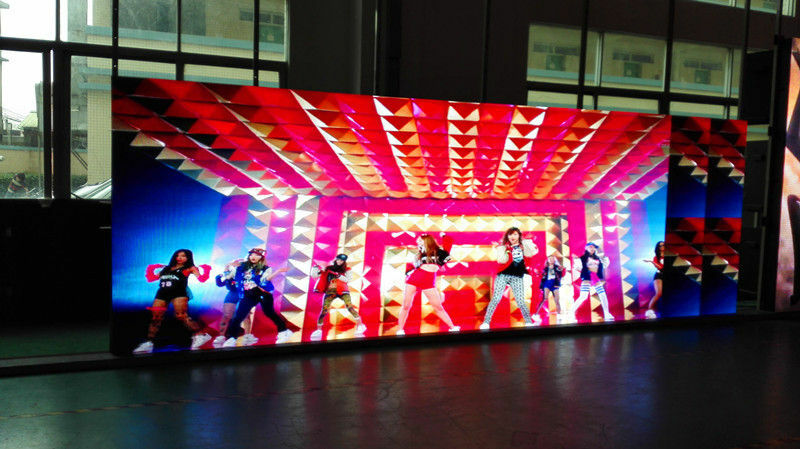 It is the latest prologue to the arrangement of indoor LED video wall arrangement. With the low pixel pitch the show is appropriate for review from close separations of around 3 meters. Studios, gatherings and holding up rooms are the perfect spots of establishment for P3 videowall display screens. 4 mm true color indoor rgb LED show screen is comprised of 3 in 1 SMDs. It is most prescribed in the indoor arrangement. With wide applications appropriate from corporate gatherings, studios and holding up rooms to shopping centers, this item has an extremely adaptable establishment base. Two sort of SMD’s, white and dark are accessible in this model. Dark SMD 4 mm LED Videowalls have high differentiation proportion of 3000:1 and high shine of 2500 Nits. P4 videowalls show screens are progressively being favored because of the sensible costs with great determination. 5 mm true color indoor rgb LED show screen is comprised of 3 in 1 SMDs. Appropriate review separate for this show is around 5 meters. Instructive establishments, shopping centers, retail outlets, corporate workplaces, and so forth are reasonable spots for P3 videowall establishment. High brightness levels of 2000 Nits make the show distinguishable from far separations even in brilliant mood. P5 videowall display screens are progressively being favored notwithstanding for rental application for gatherings and relational unions. 6 mm true color indoor rgb LED display screen is comprised of 3 in 1 SMDs. This innovation has been the most well-known since last 2-3 years. The vast majority of the rental applications for stage shows and reality occasions utilize this item. Run of the mill seeing separation for this show is 6 meters. Indoor LED Tickers demonstrating content and livelinesss are by and large made of this item. P6 videowall display screen is the best mix of cost versus determination for the said applications. 7.62 mm, 8 mm and 10 mm true color indoor rgb LED display screens are comprised of 3 in 1 SMDs. These presentations are utilized for indoor applications where the survey separations are substantially bigger. Recommended for a temperate answer for indoor situations where either the separations are substantial or determination is not a criteria. P7.62, P8 or P10 videowall show screens having size more noteworthy than 10 ft * 7 ft ought to be considered for indicating pictures and recordings.